One Team Gov – Scotland? 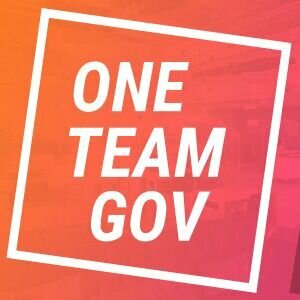 Yesterday I attended the #oneteamgov, an event spearheaded by Kit Collingwood of Ministry of Justice (and made possible by countless other people) you can find out about here. ‘The civil service is united by its values of integrity, honesty, objectivity and impartiality, but different professions are still divided in their skill sets and ways of working. On arrival, the event, an unconference style was full of people pitching topics, organised fantastically by the brilliant Janet Hughes and James Arthur Cattle building this amazing grid below of sessions run by people working in, outside and around Government. I caught sessions on Digital transformation in Local Government, my input that it’s actually a rather harmful term and we should be service focused neither just digital or just transformation focused. The first is an enabler and form of thinking for organisations, the second, well transformation isn’t real, it’s about iterative improvement and problem caring. It was great to share some examples from Snook’s work with Cork County Council recently, embedding design inside their customer service team (who are now training others teams across the council!). This is a longer blog post for another time. The other session I caught, is a fascinating conundrum. How can Government link up across departments to make services work for people, not people work for services. Initiated by the lovely Tom Wynn Morgan, his new role in GDS is looking at how Government can move from its initial (and successful) vertical transactional designs, Gov.UK-esque work to date (i.e I want to get a passport) to helping people achieve things (i.e set up a specialised business) that requires engagement across multiple Government departments (more horizontal design). Currently, users do the hard work, you interface separately across many (even if well designed) interfaces, navigating Government. That’s because it’s not always joined up behind the scenes between departments. But what today showed, is people want to join that up. There’s a will, and in fact a blossoming community of practitioners finding cross over, ways to join up, ideas to take forward in a grassroots kind of way. But the block we heard today seems to be the lack of senior leadership, or collective buy-in across departments and bodies to create the positive starting point. That’s not to say truly horizontal services don’t happen, there were also some good examples floated where ministerial bodies had co-located and examples of great senior leadership, but the question was what and when are the levers that need pulled to kick start these collaborations properly? And what is a positive starting point? It seemed, when policy, design, budgets, digital, data is all joined up from the start. I heard this multiple times over today. Having the right people, and the right intention, the budget, at the ‘start’. But what is the start? And how can there be a start when this is emergent and everything is live? And how can there be a ‘start’, when we live in, particularly now, chaotic political times? Who writes the strategy that kicks off a new service? How does this come about in policy terms when it is emergent on what people might need? And there in lies the conundrum. How do you enable, a system that’s working at scale, to find the right starting point to involve the right people, at the right time, in the right way to design a horizontal cross cutting Government services? Or, what should the criteria and collaboration package be when new insights emerge on joining up Government services – how can departments share credibility on delivering a new service, cross their budgets over when it’s live, share resource? Big questions, but the event echoed this conversation across the day and that’s what I liked about #oneteamgov the most. This is an event design for emergence, to bring people together to figure some of this stuff out. And the best bit – it’s a model designed for scale, a ‘movement’. Yes, we could have had some more policy makers today. Yes there’s a huge diverse set of skills, understanding and knowledge across the public and civil service when it comes to digital, policy, design, services that weren’t in the room today. But it was the first one. And – they want you, me and us to take it to where is needed. It’s a united model and brand that I think could be used to start conversations and open others out in regional locations, in new areas. So, I’m proposing in our other office in Scotland, who’s in? Could we put on a #oneteamgov event in Scotland with Government and local authorities? Drop me a line on curious@wearesnook.com if you’re interested in a Scottish version.